While several roads buckled and became impassible, no bridges or major thoroughfares were out of commission. During this time of year, Anchorage only experiences about six hours of daylight, and snowstorms are common. With such limited light and freezing temperatures, there were worries that emergency crews would not be able to respond when called. That was not the case. The 1964 Alaska earthquake measured 9.2 and is still on record as the strongest recorded quake in U.S. History. 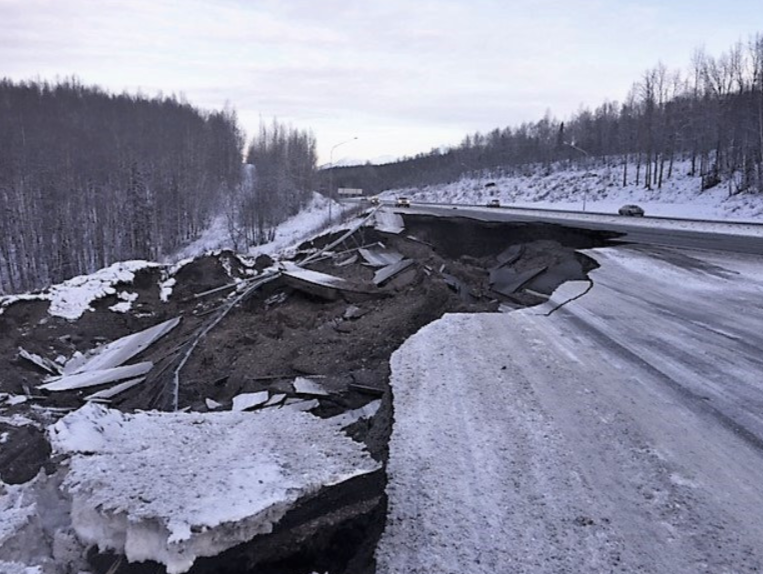 It was known as the Great Alaska earthquake or Good Friday earthquake and is believed to have killed over 100 people either directly related to the quake for from the resulting tsunami. People as far as California and Oregon were among those lost. Dry-docked vessels are still being inspected for damage, but few casualties have been found. Boats at sea were reported to have been unaffected by the quake, and while vessels at sea sometimes feel earthquakes, we have not interviewed anyone who felt the effects. Over the weekend, more than 1800 aftershocks occurred. While they were not reported to have caused any more damage, a general feeling of uneasiness was reported among many Alaska residents.